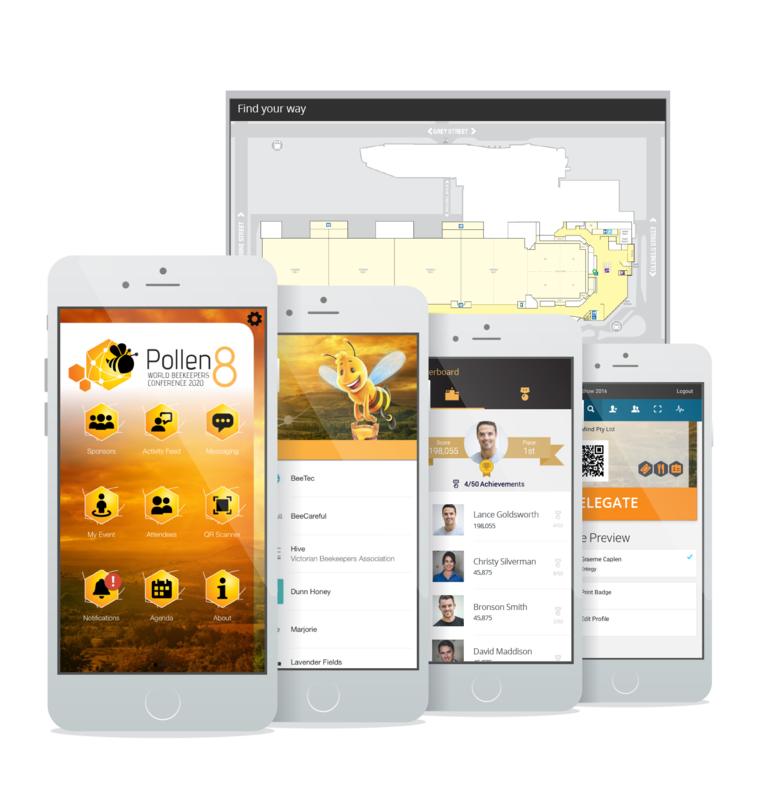 Interact, engage and reach your delegates like never before with the BCEC Free Conference App PLUS a suite of technology options. BCEC Next Level Technology Packages are here to help you connect and engage your delegates. In addition to our free Conference App we’ve created a suite of custom technology packages to engage and reach your delegates, giving organisers a streamlined process for activating and implementing interactive features like: live polling, Q&A sessions, lead capture and delegate tracking systems. Selecting your technology package is easy. Simply select the app package and elements appropriate for your event using the quote request form below and a friendly member of our team will be in touch to discuss the next steps. Prefer to speak to someone? You can call our AV Sales team on 07 3308 3393 for help matching a technology solution to your needs. We have a range of apps to choose from, you can upgrade whenever you like. Choose the free app for basic information, the base app for a nice starting point or the premium app for advanced functions and content layouts. Simple but effective. Select this free app to show basic event information. Select from a range of additional features below to complete your package. Other than Attendee Connect, the Elements below can be run without the need to have an event app. This is a powerful app upgrade that activates attendees in the app, enabling them to message each other and engage in live activity feeds and gamification. 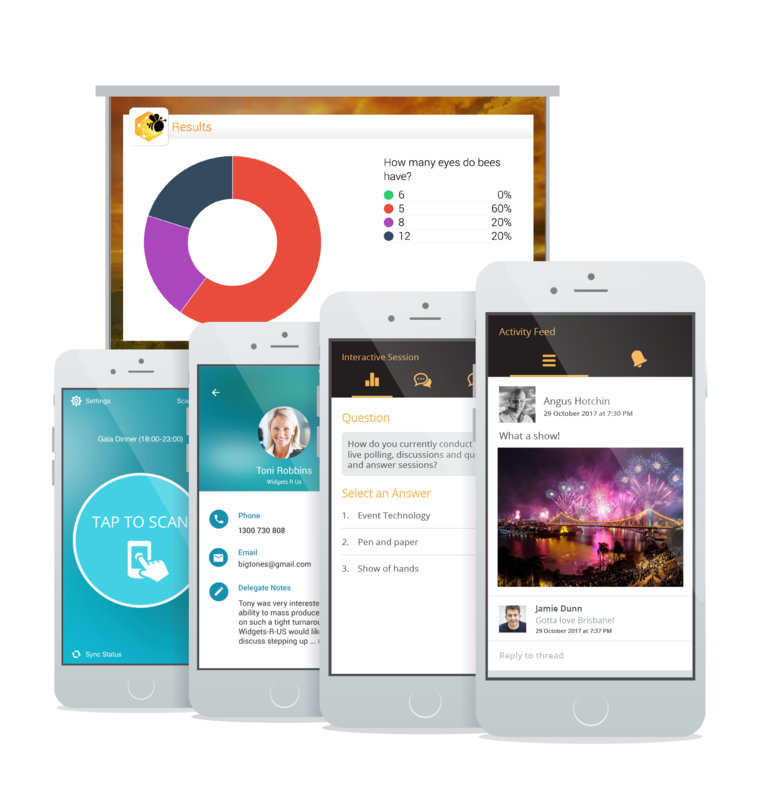 Allow attendees to engage with sessions through live polling, discussions and Q&A from their own device. Event staff can moderate submissions, create polls ‘on the fly’ and project to the big screen. Allows event organisers to scan attendees into the event or into a session using your own devices as a scanner. See who’s in and who’s out with a live link to attendee data. Convert attendee interest into meaningful and qualified leads with The Lead Capture app. 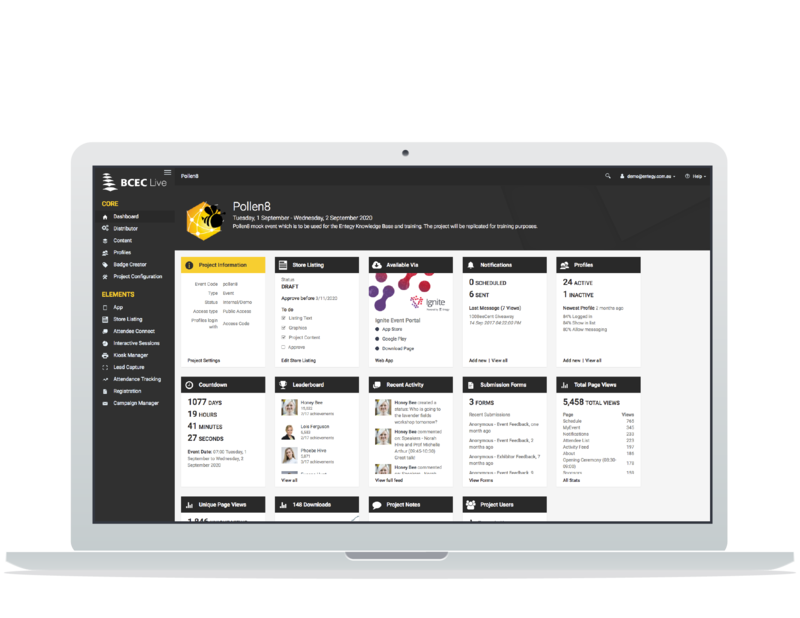 A real-time lead management system, fully managed within the Core (CMS). Before we can start building your request, we’re going to need some information about you and your event. Here is a quick summary of your technology requirements, if everything looks in order you can submit your request! Our sales specialist will contact you shortly to discuss the next steps. Created with event organisers in mind, our technology packages will help build immersive environments for your attendees so they can get the most out of their conference experience. The Entegy Suite is a powerful platform that helps event organisers streamline communication, strengthen engagement and simplify logistics. © 2019 Event technology. All Rights Reserved.